Thanks to the talent of my good friend Claudia from Never Enough Design we have a beautiful new set of themes for Adoring Sandra Bullock. The theme features images from three of my favorite shoots that Sandra has done in recent years. Hello! Our site is now back online, successfully moved thanks to our new host Flaunt. 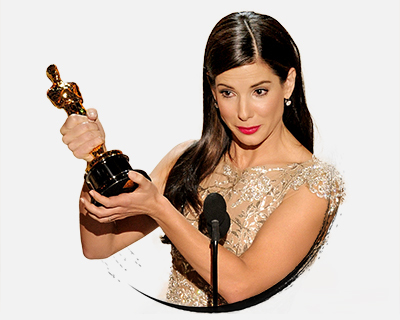 Our gallery is also working, and please bookmark our new url sandra-bullock.net. Our old url, sbullock.net, will work only until the expiration date. Thanks Gertie and the amazing fan-sites.org for being our host for so long! We’ll miss you! As you can see, we have a new layout up here at Adoring Sandra Bullock – many thanks to Ray for the amazing theme base. It features a new photo Sandra did to promote Gravity (will be in our gallery on the next update). Let me know if you find any errors!